Note: Earlier this year Nathan Brown and I worked together to produce the 2013 Youth Week of Prayer Guide. He wrote the Youth readings and I wrote an extended discussion guide to accompany the reading. I also wrote a Junior story-based version of each day’s reading. It was titled “Revival that counts” and therefore speaks to many of the same issues as this quarters lesson. The final reading of the YWOP focused on the 3 angels messages in Revelation. They beautifully mirror this week’s lesson. Enjoy the Reading and then use this discussion guide to have a unique discussion on “Witness and Service: The Fruit of Revival”. Icebreaker: We live in an information saturated world and thus apply little of what we learn. Knowing something is good for us doesn’t necessarily mean we put it into practice. What information has changed your life? What was the process of turning information into transformation? What caused you to turn your knowledge into action? Share your story. The Bible is 75 percent story. Why? What is God trying to accomplish in our lives by giving us the Bible? How do stories help us reach God’s goals for our lives? Understanding that when God wants to reach our heart He sends us a story, read Revelation 14:6-12. What is the story being told? Why angels? 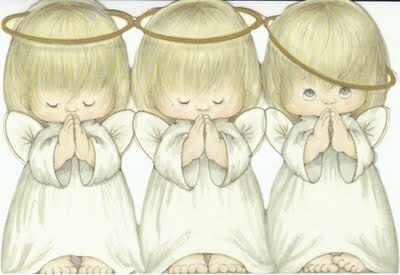 Why three angels? What is the overall theme or message of the story? What are the individual messages of each angel? What information does this story give us? What transformation is it calling for? Read: If all creation, redemption, and recreation emanates from God and, according to the Bible, God spends the whole of human history trying to get that through to us, why does God seem to be so preoccupied with us telling that back to Him? If God is who He says He is, why is He seemingly so focused on us worshipping Him? What does worship do in us as a person? What does worship do for us as a people? What does worship do through us for the world? Read: It is to this reality (the wreck evil has made of God’s creation) that the message of Revelation 14’s second angel calls our attention. All is not right with the world. In fact, something is desperately, dangerously, and diabolically wrong. The story began with a world created wonderfully good by a great and loving God, but evil entered the story. We live among the fallout from that story. And the inevitable result of this trajectory is utter hopelessness and self-destruction. Babylon (the world without God) is utterly fallen and corrupt. What transformation does this message call to existence within you? Who does it make you want to become? There are many people who do not recognise the fallen world for what it is. What does this second angel’s message compel you to do for them? Read: The story of the first and second angel’s succinctly draws a stark distinction between the claims and call of God and the brokenness of this world and its systems of power—between good and evil. The third part of this story presents an unambiguous choice. Do we give our allegiance to the kingdom of God or the kingdoms of this world? Are we part of the problem or are we part of God’s solution? How is this final message a call to servanthood? What role does patience play in dealing with evil? How do God’s wrath and His love go hand in hand? What do you believe are the most important things about what it means to live as people of God in your community today? A final note: For God’s people—and for all people and places they can influence—the future kingdom of God starts now. Of course, it will only be completed when the world is recreated ultimately by God Himself (see Revelation 21:1-5). But we are called to be agents of restoration and recreation here and now—and by so doing to alert others to the eternal choice they must make. In the context of the “eternal gospel” and God’s promise of judgment, in light of the assurance of the gospel and the warnings against complacency and the many other temptations of evil, we are called to seek and stand for goodness—and to serve as Jesus did (see Luke 4:18, 19).